Brad Cole Construction understands the distinct requirements of various industries. This understanding is strengthened by BCC’s commitment to provide customers value-added construction services. 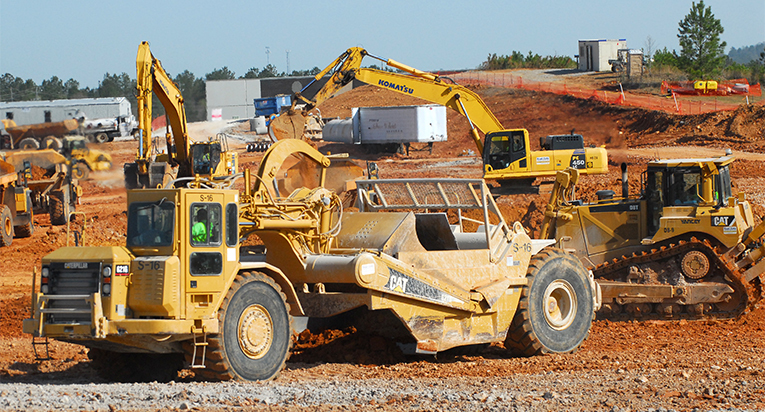 The company’s experience started in Georgia and Alabama with forestry and water impoundment projects, and soon expanded to include transmission right-of-way and substation construction. Today BCC’s experience, resources and reach enable them to effectively service multiple market segments. For example, every year for the past 35 years BCC constructs major dams and reservoirs where they self-perform about 70% of the total project scope. For the last two decades BCC has performed major civil projects on power generation sites throughout the Southeast, Gulf Coast. For retail and commercial and industrial projects BCC routinely works as a turnkey contractor handling complete site development that includes initial due diligence, clearing and grading, mass excavation, site infrastructure, roads and parking, final lighting and landscaping. No matter the project scope or size, BCC has the strength, knowledge and experience to get the job done right.